The Fallkniven S1 Forest Knife is probably the best hunting and fishing knife ever made. Its sturdy blade made of the new extremely strong stainless laminate VG10 custom steel is convex grounded for extra strong cutting power with no risk for edge breakage. 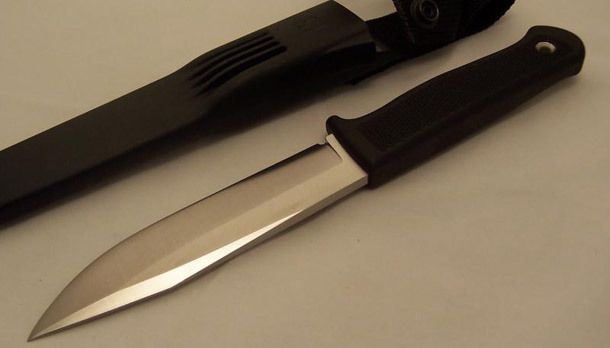 The modified clip point design works well for penetrating purposes, the long curved edge is ideal for skinning. The blade is long enough for lighter chopping and will not break because it is full 0.2 inches thick. The checkered handle gives a good grip even when your hands are cold or wet. A leather sheath is included. Overall Length: inches 9.72 in. Previous story What Makes a Good Survival Knife? 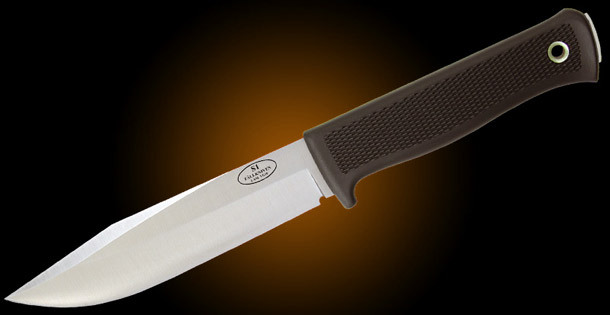 Fallkniven s-1 as pictured in the article. Even at 150 bucks it has been a very economical knife. Probably the last one I would have to buy. No extras, no fancy sharpening gadgets, no additional sheaths, and no other backup knives needed. Cheap knives are just that. CHEAP!!! Cold Steel is now chinese made. They used to be the standard, now sadly, just a sign of the times.